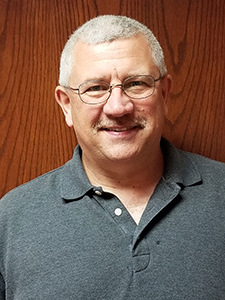 KNOXVILLE – Swift Industrial Power announced today the addition of Steve Wilson, who will serve as the company’s controller. Wilson brings more than 27 years of experience in the financial industry to his new role, where he will oversee and guide the company’s financial operations by establishing, monitoring, and enforcing policies and procedures. Mike Swift, CEO of Swift Industrial Power, said Wilson is already making an impact. A native of Knoxville, Wilson received his bachelor’s degree in finance and accounting from the University of Tennessee. Swift Industrial Power is located at 10917 McBride Lane, Knoxville. The company has offices in Knoxville, Nashville, Trussville, Mobile, Dolomite, Fort Lauderdale, Jacksonville and Lakeland. For more information on the company, visit www.swiftpower.com.